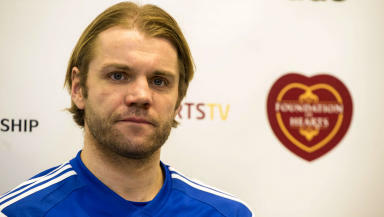 Robbie Neilson has secured the services of the former Torquay player. Hearts have signed young defender Jake Hutchings until the end of the season. Robbie Neilson has secured the services of the 19-year-old following his release from Torquay United. Hutchings has spent time the capital club's Football Academy recently and impressed coaches with his displays. Originally from London, the player could make his debut for Jack Ross' Under 20s team against Hibernian on Tuesday. Meanwhile fellow defender Brad McKay has been linked with a pre-contract agreement with Premiership side St Johnstone. The Tynecastle men have also confirmed U20s midfielder Aaron Scott has left the club.